I read with dismay the Denver Post story regarding the recent cancer deaths of lions at the Denver Zoo. Given your extensive use of “reclaimed” water at the Zoo (as reported on your website), and the many reports of carcinogens in that water (as reported here), I wonder if you have investigated a possible link between this “reclaimed” water and these deaths. Please consider this a CORA request, and let me know when you have gathered documents for my inspection. 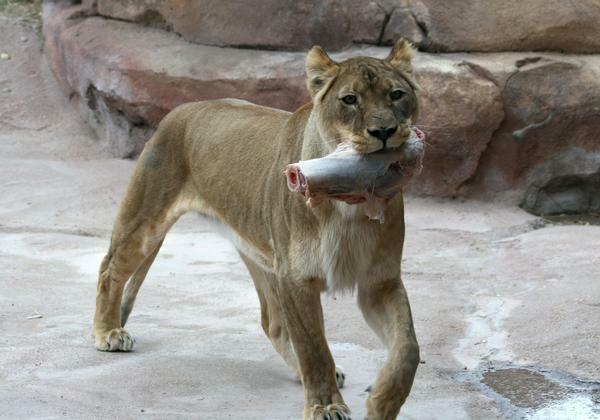 The Denver Zoological Foundation (DZF) is a private not-for-profit Colorado corporation that acts solely as an independent outside contractor to the City and County of Denver for the purpose of operating Denver Zoo. As such, in the opinion of our legal council, the DZF is exempt from the provisions of the Colorado Open Records Act and therefore is not legally required to provide access to any records or information. However, I willingly share information about our lions to clear any misperception. The lions that have passed away or that are currently ill all have developed different types of illnesses with age being the only uniting factor. None of the cancers found are related to one another and are not believed to be caused by any environmental factors. Rather, these lions all faced challenges you see with elderly animals at the end of their lifespan. They were nearly 16 and with the average life span being 16.8, they had lived to the end of their expected life span. Denver Zoo provides the best care possible for all of our animals throughout their entire lives. We know that eventually we will have to say goodbye to each animal, and do our best to honor them until their last day. Unfortunately with the case of the lions, we knew that having an entire pride of the same age would be difficult when they reached the end of their lifespan. Having this knowledge has not made it easier, however, for those who have dedicated their lives to caring for these animals.